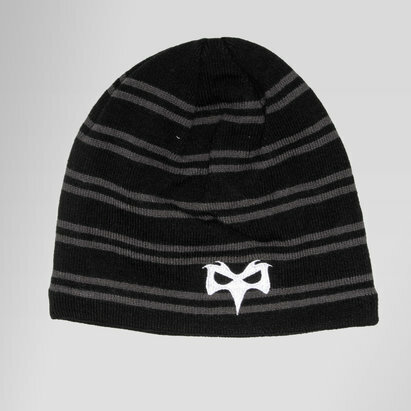 Don those famous black and white colours and stay warm whether that's in training, out and about or at the Liberty Stadium in this Canterbury Ospreys 18/19 Rugby Bobble Hat. Guinness Pro 14 team the Ospreys have this season collaborated with Canterbury for their kit and training range. Made from 100% acrylic knit this beanie has a fleece band that wraps around the inside to cover your forehead and ears while the knitted effect of the beanie helps retain the heat when tackling those chilly days and nights. 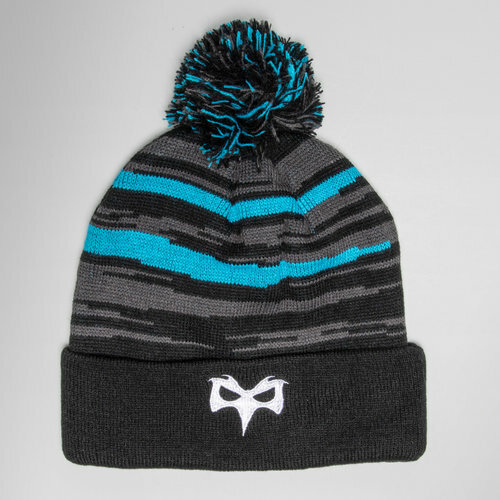 This hat comes predominantly in black and comes with an electric blue and grey design. The club's crest is embroidered on the front.